Jailbreaking your iOS device has plenty of benefits. One such benefit is the possibility of bringing the Apple CarPlay interface to your device. That's exactly what an upcoming jailbreak tweak called 'CarPlay Activator' is hoping to do. CarPlay Activator is different from 'CarPlay iOS' which I wrote about a few days ago. Both tweaks aim to do the same thing. The former is being developed by Adam Bell, a well known developer in the jailbreak community. The website idownloadblog got a sneak peek and posted a 9-minute walkthrough video of CarPlay activator. More details and the video are below the break. According to idownloadblog, the tweak is a work-in-progress. The main aim is to bring the car-friendly interface of CarPlay to iOS devices. 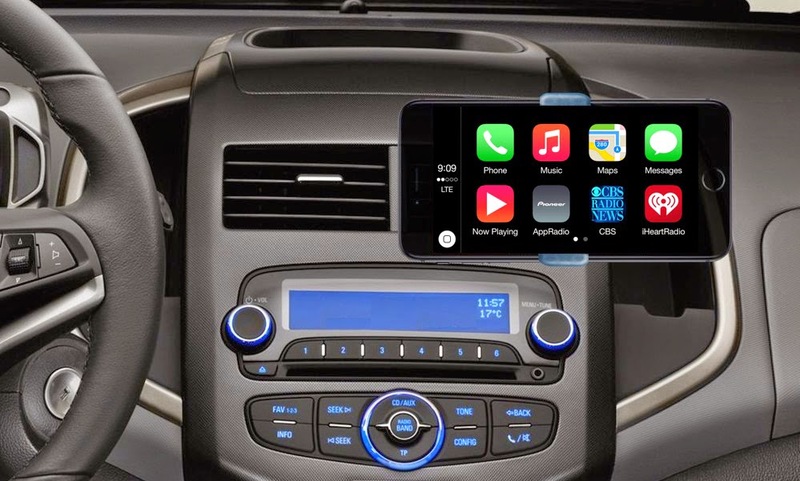 This would allow users to enjoy CarPlay in their vehicles without having to purchase an aftermarket head unit or a new car that supports CarPlay. All they'll have to do is mount their iOS device running CarPlay Activator in their dashboard. Instead of the Pioneer or Alpine icon which brings you back to the home menu on a respective aftermarket head unit, CarPlay Activator will have a 'CarPlay' icon which will take you to your iOS homescreen. There are also details on how CarPlay Activator works. While CarPlay on an aftermarket head unit or compatible car dashboard screen is essentially AirPlay + Touch support, CarPlay Activator works using a similar exploit. It basically tricks your iOS device to think that a secondary display is connected, thereby displaying the CarPlay interface. If CarPlay Activator works as well as one would hope, it may lead to a flurry of iPad installs in car dashboards. Even the larger iPhone 6 Plus would be a good device to have, since you wouldn't need an additional data connection. There's no timeline on when the tweak will be available for download in the Cydia Store. Information on pricing is not available either. We will have the latest on this front as and when the news arrives. Stay tuned. Note: Top image is simulated.